On 15 July Alison will be doing a two-hour demonstration at the National Gallery of Ireland in Dublin, as part of their Ealaín celebration of Irish Women Artists. After 13 years at Benburb, Greenwood Baskets has now moved to a newly-built studio beside Alison’s house, near Loughgall. 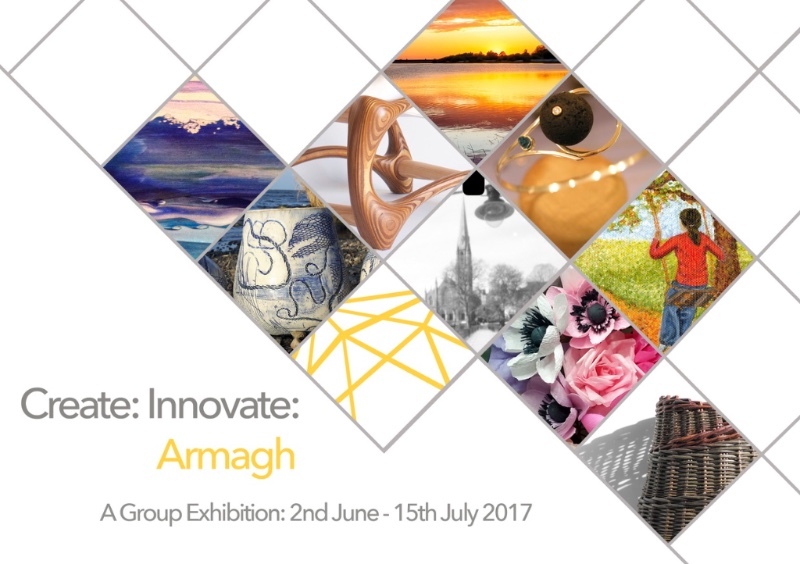 My work will be on show at an exhibition celebrating some of the work of the Create:Innovate network members on Thursday 1st June from 7pm at the Market Place Theatre and Arts Centre, Armagh. The exhibition be showcasing a fantastic range of work, from ceramics, furniture and basketry to jewellery, painting, paper floristry and photography. Refreshments will be served. Alison is “maker of the month” at So Collective for February 2017 and ran a demonstration in their shop in Kildare Village on Sat Feb 11th 2-4 pm. Crafted takes place at Castle Ward, Strangford, County Down. The magnificent 18th Century House and the Theatre in the Stableyard provide a fabulous back-drop for the Craft Fair. Now in its seventh year Crafted is a chance to meet makers from all over Ireland and beyond, and a great chance to pick up some truly special Christmas gifts. FIVE is the number at R-Space on Saturday 30 July as Film Makers launches for August Craft Month on our 5th birthday. Exhibition opening 2-4pm, birthday party 4-6pm. In celebration of Northern Ireland’s rich craft landscape past and present, five makers have been invited to produce new work in response to heritage footage from Northern Ireland Screen’s Digital Film Archive. Featuring stone carving, basket weaving, furniture making, tools and handwoven textiles, by Sharon Adams, Sheena Devitt, Alison Fitzgerald, Nicola Gates and Ronan Lowry Film Makers highlights the relationship between historical skills and contemporary making.